Control over the metabolism of an individual is one of the vital functions of the thyroid gland -the small gland above the breastbone at the base of the neck. However, there are instances when this gland is incapable of providing the necessary amount of hormones needed for the body to function properly. Once hypothyroidism takes place, it is vital to administer immediate treatment to prevent the worsening of the condition, at worst, such condition can lead to coma and eventually to death. On the other hand, severe to moderate hypothyroidism can cause depression, increase in cholesterol levels, heart related ailments and increase in weight. When there is deficiency in the thyroid’s hormone production capability, replacing the missing hormones is necessary and physicians usually prescribe T4 medications. Taking drugs with hormones in the synthetic form can restore the normal metabolism of the body. The T4 hormone known as levothyroxine and thyroxine is then converted into the T3 hormone in the kidney and the liver with the help of enzyme, proteins and globulins in the body. When the synthetic T4 hormone is converted into T3, an individual’s normal metabolism is restored. Unfortunately, not all people are capable of transforming synthetic T4 to T3 due to the absence of essential elements. In the instance of an impaired conversion, a physician can simply add a T3 medication to the prescribed T4 medication but there are doctors who change the prescription to a T4 and T3 combination medication. Hormone replacement therapy will cause an increase in the level of thyroid hormones in the body once the prescribed daily dose is taken. However, through various dose adjustments, the proper dosage to achieve a normalized metabolic state is realized but it can take several months to find the right balance of thyroid hormones. Hormone levels are measured through continuous blood testing between a 6 to 8 week interval. Once the right dosage to keep optimum levels is established, testing is only done 2 to 3 times in a year. 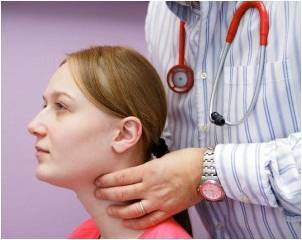 In monitoring hypothyroidism, TSH, T4 and T3 levels are measured. TSH levels are inversely proportional with T4 and T3 levels and abnormally high or abnormally low amounts of the hormones can indicate issues with the treatment method. Thyroid supplements are perfect for people with healthy thyroid glands as they can boost the production rates of the gland. But when there is already something wrong with the gland, supplements are ineffective because they do not contain actual thyroid hormones as they are non-prescription drugs. Hence, they cannot be used as a substitute to hormone replacement medicine which has been prescribed by the doctor. People with hypothyroid condition should be sure to take their prescribed medicine after waking up. Certain habits should also be observed to ensure that the hormones will be absorbed by the body thoroughly such as delaying breakfast for, ideally, an hour after the dose. High-fiber food items should be consumed 2 hours after the dose while iron and calcium supplements should only be taken 6 hours after. Perl Watson is a freelance writer and recommends to buy T3 for hormone restoration.